Hello there and thanks for taking the time to get to know us. There’s a lot we can say about ourselves, but we think you may find it more helpful to hear what others have to say about us. What we’d really like you to know about us is that we’re a family owned and operated small business, invested in serving the business communities throughout the Atlanta area. Our offices have been located in Kennesaw (Cobb County), Georgia for the past nine years and we’re proud of our active memberships in the local, Atlanta-based International Janitorial & Cleaning Services Association and the National Association of Small Business Professionals. Want to know more? We’d love the opportunity to tell you more about us and to get to know you and your business. Give us a call for more info or a free, no obligation quote. We’d love to meet up and buy you a coffee. Well, I’m sure you gathered by now that we’re a professional janitorial services company. And you’re likely reading this because you need to find a quality commercial cleaning services provider, right? Truth is, office cleaning isn’t just a matter of cleaning toilets and dumping trash. In fact, if we don’t do our jobs well, we could endanger the health and wellbeing of you and everyone in your entire office building with irresponsible practices! And since we like you, we wouldn’t want to do that. Kelly Commercial Cleaning Services has built its reputation on professionalism, outstanding service and premium customer care. We’d like you to know that we’ll continually strive to maintain the highest cleaning industry standards and remain committed and dedicated to serving you with integrity. Learn just how committed we are to quality service and the highest safety standards. 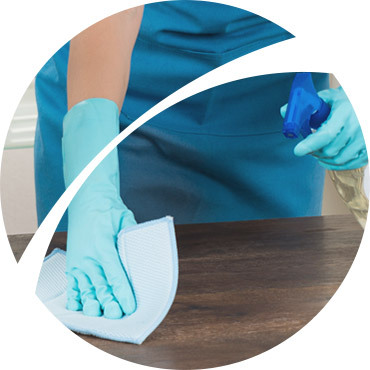 Cleaning Technicians: Our Cleaning Technicians are committed to professionalism, reliability and respect for the care, comfort, maintenance and privacy of your work place. They are fully trained, experienced and committed to doing the job right the first time. We motivate our staff to perform at their best by providing a fair compensation package, which includes bonuses for excellence and efficiency. Team Cleaning Methods: We send in uniformed teams of technicians, each with a specific job function and area of responsibility. This industry proven approach improves productivity, is cost effective and provides for maximum customer satisfaction. On-Site Inspectors: Every cleaning of your premises is quality checked by an On-Site Inspector, providing you with a full report of all services performed. The Inspector supervises the team and ensures the safety of your premises by securing all doors and windows and engaging your alarm system. Equipment & Supplies: The right equipment makes all the difference. We only use the best commercial and industrial equipment and supplies in the industry. High powered “wide mouth” vacuums capture up to 50% more dirt than traditional uprights. Commercial air suction dusters have HEPA filtration units to eliminate dust mites and other bothersome allergens. Prefer to go completely green? We offer 100% natural cleaning product solutions for your business. Service Guarantee: We provide a written certificate guaranteeing the quality of our work to customers. This guarantee is your assurance that you are receiving the most professional commercial cleaning services available, at an affordable price. Selecting a commercial cleaning service provider isn’t as straight forward as it may seem. In today’s marketplace, there are so many choices available. Choosing the right partner to look after your company’s brand personality and professional image should not simply come down to just which company offered the lowest quote. When entrusting your business premises, expensive office equipment, supplies and computer hardware, you should know that the company you’re entrusting with “after hours” access (including your alarm code and key) is caring, trustworthy and reputable.